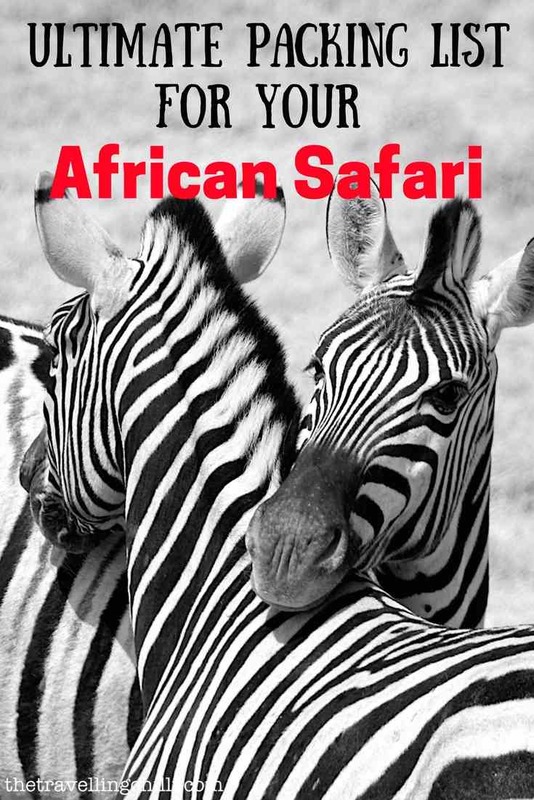 Are you planning on going on a safari in Africa and are you wondering what to pack? 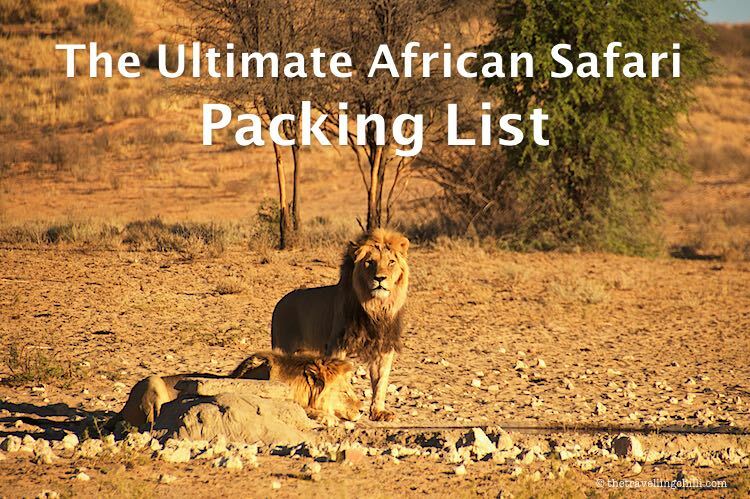 Having an ultimate African safari packing list before starting your safari trip is essential to make the most of it. Going on a safari is one of the best experiences one can have while visiting the African bush. Having a memorable encounter with any type of wildlife in some of the most untouched stretches of nature is just unforgettable. 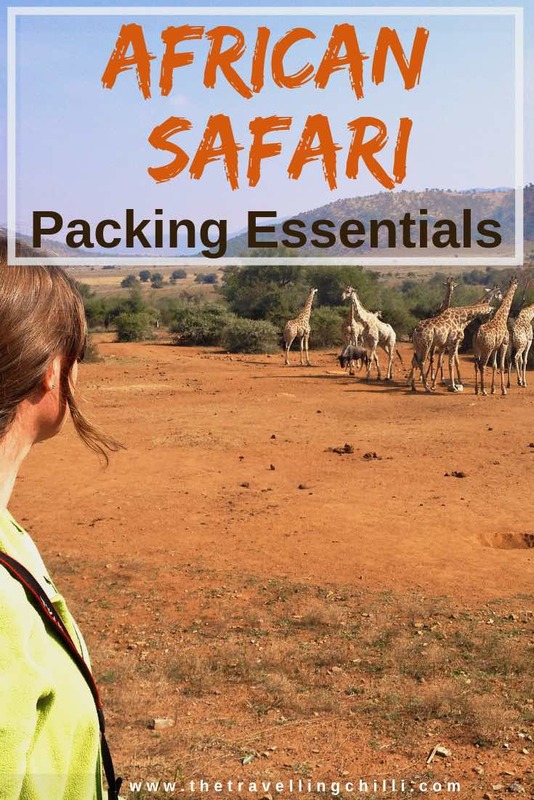 What to pack for a safari in Africa? Going on a safari is often only a part of a trip on the African continent. An African safari is often combined with a few beach days, desert explorations, adrenaline activities and city visits, making it more difficult to decide what to pack or more important, what not to pack. It is important not to take too much stuff with you, but just the essentials needed for that specific trip. Packing for a safari is not always easy. 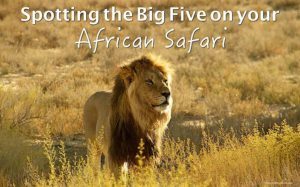 Having done dozens of safari over the last years that I’ve spent in Africa, I will list the most essential items and safari gear that I would take on any safari in Africa. 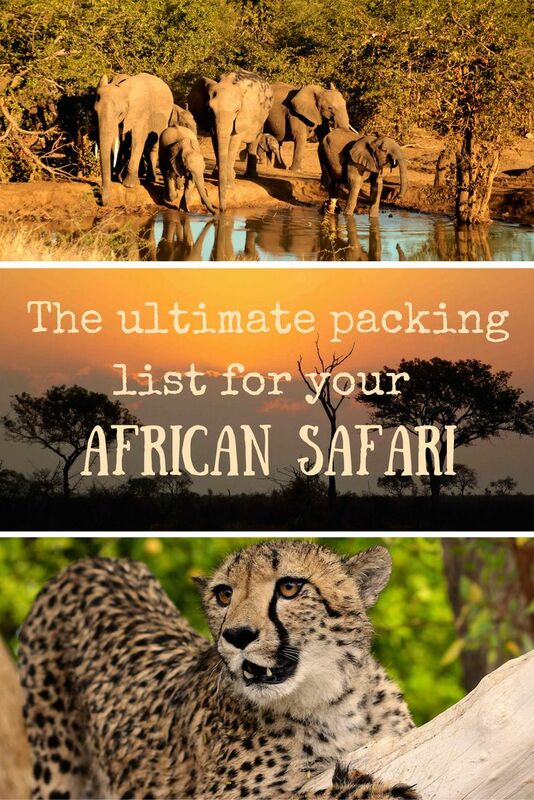 This ultimate safari packing list for Africa will give you peace of mind to fully enjoy every moment of the notorious Big Five animals, the beautiful nature of the African savannah and round off each day with the spectacular African sunsets. Disclosure: Some of the below links are affiliate links. 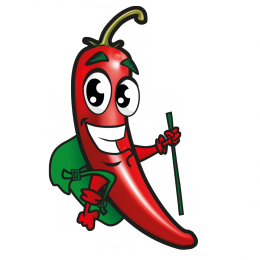 We will earn a small percentage of the sale if you purchase through them at absolutely NO extra cost to you! 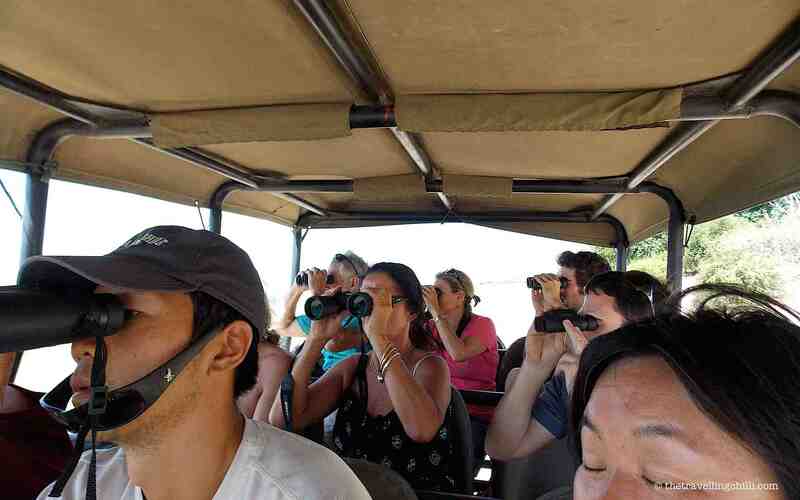 Binoculars are a very essential item for any safari in Africa. The reason is that animals can be pretty far off and you cannot always get close to the wildlife. When driving in the game parks, you will have to follow the main roads. 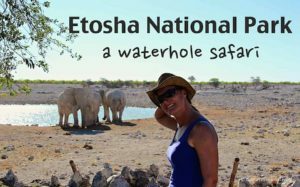 Only in very exceptional occasions, like in a private game reserve where the guide is allowed to drive off road, you can get slightly closer, but in most of the cases you can not. This means that in order to really be able to observe smaller animals or to look at them when they are far away, you will need to take a good pair of binoculars. What are the best travel binoculars for a safari? What kind of binoculars to take will depend on what you like, essential is that they are comfortable to use and easy on the eye. There are many types of binoculars available. I personally prefer to use a smaller size binocular and light to carry around in your pack. The most important thing however, is that the binoculars you take have a decent long range view. Africa can get very hot during the day and on your safari you will be either sitting in an open vehicle or driving with the windows open. Do not underestimate the strength of the African sun. It will also depend on the time of year you will be travelling. The summer sun can be strong and hot, but winter sun in Africa should also not be underestimated. Taking a good sunscreen with an SPF of at least 30 is highly recommended. 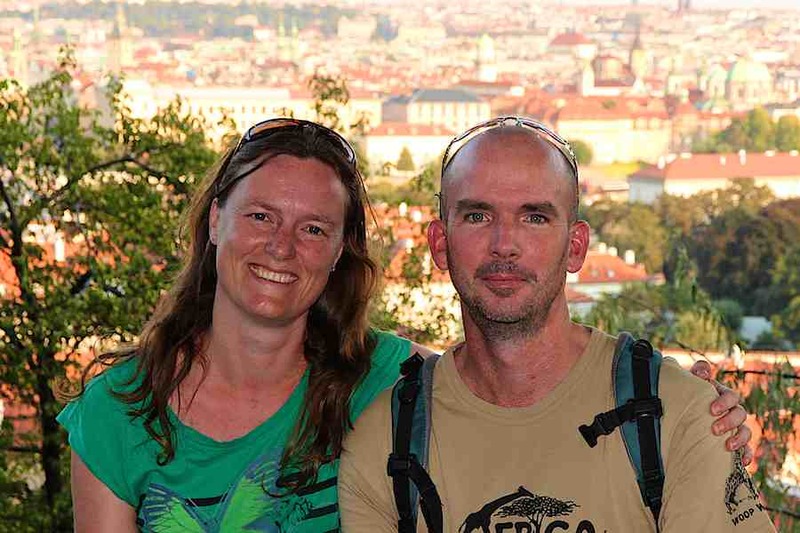 In our case, Sean and myself will always use a sunscreen with an SPF 50 in Africa, winter and summer. We like to use the Nivea Sun Spray SPF50. A good and decent safari hat is a very essential item to take on any African safari. The sun can be very strong during the day, and even if you are going on a safari in a vehicle, it will most probably be an open safari vehicle or you will be driving around with your windows down. Because you will be driving in the open wind, the best hats will be the ones that you can tie with a cord. You will not want to loose your hat while driving and the wind catches it. Take a safari hat with a large rim, which will protect your face as well as your neck and ears from the burning sun. Not so much during the early and late hours of the day, but during the day the sun will shine really bright. Looking for animals can be tiring, especially when staring into the bright light the whole day. Wearing a good pair of sunglasses will be such a relief to your eyes. The best sunglasses that I recommend to use are polarised ones, which will reduce the glare. We love the sunglasses from Oakley, they are good and decent quality for the strong African sun and give your eyes the necessary relief when driving the whole day. Very often when going on a safari, we see people taking pictures with a small camera or even an ipad. In that case, I would not even worry about taking a photo, but to rather enjoy the moment. Unless it’s a huge elephant or giraffe standing next to your vehicle, the photo won’t be very nice. Believe me, on my first safaris I did not have a large zoom less and most of my pictures were blurred. Animals tend to move around more during the early hours of the morning or in the late afternoon, when the temperatures are cooling down. The light is often great during those moments, but also fades very fast. In those cases, unless you have a decent zoom lens suitable for low light, the photo won’t come out very nice. However, some of the latest smart phone cameras are quite good and are capable of getting you the proverbial money shot. A good zoom lens is essential for taking any decent pictures on a safari. It does not have to be an expensive and off the limit zoom lens of let’s say one meter in length. Admittedly, they will be able to make a great shot, but good is also enough. which is really good value for it’s price. The advantage with this one is that it has a very wide range and you don’t have to switch lenses very often for wide shots and zoom shots. When I was working as a guide, I did not have time to change lenses. The clients had first priority for taking photos. The other lens I use is the Canon 70-300mm. This one comes in the normal version as well as the Canon 70-300mm L version. The advantage of the L is that it is more weather proof, which is really good as most nature parks tend to be either really dusty or quite wet. Most safari parks are also worth a visit due to their beautiful nature and landscapes. Sometimes it is not only about the amazing wildlife. For taking taking landscape photos I use the Canon 15-85 mm which is a great quality wide angle lens. I’m so happy with this lens that I use this one as my standard walk around lens. This is just the camera gear that I use, but I can say that today’s point and shoot cameras or smart phones with extra attachable lenses will do for a safari. You stand a very good chance of getting nice, good quality photos as well. I just like playing around with a DSLR and the possibilities with the different lenses. For packing this camera gear in to a handy travel camera bag, I use the Lowepro Passport Sling Bag. It’s a very handy and stylish camera bag I have used on many of my African safari trips. Read this review for more detailed info about this handy bag. You know the feeling that when that perfect shot comes in sight, your camera dies. When I was working as a guide, it happened to so many people. The camera was not properly charged, or the battery power was just not enough. Make sure you always have some spare batteries and extra memory cards. You never know, it can be one of those days that you will see every animal you want to see. Especially when you love photography, be prepared for power and memory space. I use the SandDisk memory cards, which come in various sizes from 16GB to 128GB. In order to take a great action shot, make sure you use a fast memory card. I did not realise the importance of this until I saw a cheetah kill and while I was trying to shoot the run and the kill, my camera stalled because the memory card could not handle too many fast shots at once. You can imagine how disappointed I was since seeing a live cheetah kill is almost a once in a lifetime experience. I highly recommend the SanDisk Extra memory card. 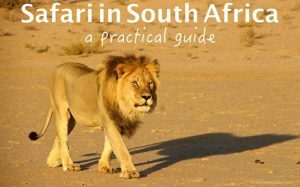 In order to truly enjoy your game drive, especially when doing a self drive is to have a good safari book with you. At the entrance of most parks you will be able to buy a map of the area which includes pictures and info about the most important animals in it, so it will be easier to spot them. A good guide book will also explain in more detail about the animal you are seeing and will include the lesser known ones. A safari is not only about big mammals, but also about the smaller animals, such as insects, birds and reptiles like monitor lizards. I also always use a bird book, which makes it pretty easy to recognise most birds. I never travel anywhere without taking a first aid kit with me. Depending on the area I go to, how long I will be on the road and what I will be doing, I assemble different items for my first aid kit. Take at least a basic first aid kit with you and add additional items according to your personal needs. There are also mosquitos in Africa, and depending on the area and season, there can be quite a few. Concerning malaria; not every region has it, there are quite a few safari parks that are located in malaria free areas, but you will need to consult with your own doctor as to whether or not you should take prophylaxis with you. However, I do recommend to take some decent insect repellent with a minimum amount of Deet. It has also been said that gin & tonic can help to keep mozzies away, because of the quinine in the tonic. We just add the gin for extra flavour. There won’t be a whole lot of shop stops while in a safari wildlife reserve. Make sure you carry enough water with you. You will normally be able to buy more water or fill up a water bottle (only where the water is clean to drink) at a picnic stop. Watching for animals can be energy consuming. Or sometimes due to an interesting sighting, you will not make it in time for lunch or a random spot for eating something. Make sure you always have some snacks with you. It can be some (dried) fruits or nuts, or biscuits. Most wildlife will be active during the hours of the early morning or late afternoon. That means you will start driving just before the sun comes up. Even though temperatures in Africa get very high in the day time, during the winter months it can be really cold. It is not nice to sit in an open vehicle freezing, you will not enjoy anything you see. Make sure you wear layers of different clothes. Warm enough for the early or late hours and which you can take off during the day. Often, safari vehicle will have warm blankets available, but warm clothing is so much better. It might also be possible that it rains the whole day. No problem for spotting animals, but bring a raincoat, just in case. The best would be a windproof rain coat. 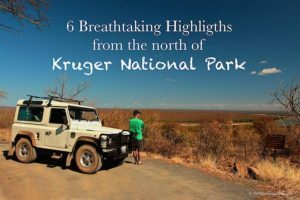 It will not be easy to write things down while driving, but you will have stops at the picnic sites, where you can write down specific sightings or just general musings about the beautiful hours you’ve spend in the African bush. You will not have a lot of space when you will be going with a safari company. A small daypack will be perfect. If you have a lot of camera gear, be sure to have a sturdy camera bag with you. There will not be space to lay out all your gear on the seat. Moreover, other people might not be as careful as you are with your expensive gear. Also when it’s raining or there is a lot of dust, some additional items will have to be stored away properly, but at the same time in easy reach, like extra batteries or memory cards. Most game reserves have rest areas where they sell food / snacks, drinks and souvenirs. Do have some local currency with you to get a cold drink or a nice souvenir. 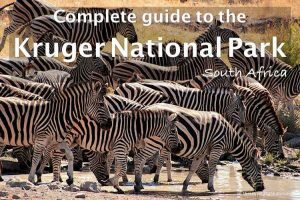 Pretty much all of the major game parks across Southern Africa will also accept major credit cards such as Visa or Mastercard. Some parks might also have ATM’s. In the more isolated places, the parks will power their money machines with solar and link them via satellite. Not one safari will be the same as the other. So have an open mind, and be flexible and open to everything you will see that day, and you will see something. In some cases you will not see a lion, leopard or other large and amazing mammal. The animals might be hiding, but you will definitely see some other less popular wildlife. Be glad with what you see and enjoy nature and the African bush. Have you ever done a safari in Africa? Where did you do it and did you enjoy it? Disclosure: Some of the above links are affiliate links as we are participants in the Amazon affiliate programme. This means we earn from qualifying purchases at no extra charge to you. I LOVE the Brian Jackman quote! It is just so true! My top takeaway from your list is sunscreen – especially if you are on antimalarial’s which lower your protection from the sun. My poor nose was burnt throughout my entire 6 weeks no matter how much sunscreen I had on! Thanks for sharing all these great tips. Safaris always look so thrilling to me, hope to visit one day! Amen to the camera equipment! Bus also the combination of binoculars and a good lense works great 😉 Try it! Funny that you say it, but I always seem to commit the thou shalt not forgot thy extra battery and thy extra memory card. THANKS FOR THE REMINDER. Also and open mood yes! You know how often I have seen people’s batteries die in the middle of a game drive. Ok, you can still enjoy the show, but there won’t be any souvenirs anymore. Good advice there. Definitely want to do a Safari in the not so distant future. Great tip about wearing lots of layers of clothing! I thought binoculars were always provided in a safari, good tip! Binoculars are not provided, although they might be when you take a really exclusive and expensive private safari. Also, if you don’t have one, there will always be someone else with binoculars and the guide will always have one with him. Buy your own, even if they are cheap and nasty. It is not right that you borrow from other guests and definitely not from the guide – they are working tools of his trade. There is nothing worse than missing some action because of somebody who did not bring their own had borrowed yours. That’s a great list! I last did a safari about 4 years ago and wish I’d had your list at the time! It’s surprising just how cold the mornings can be! 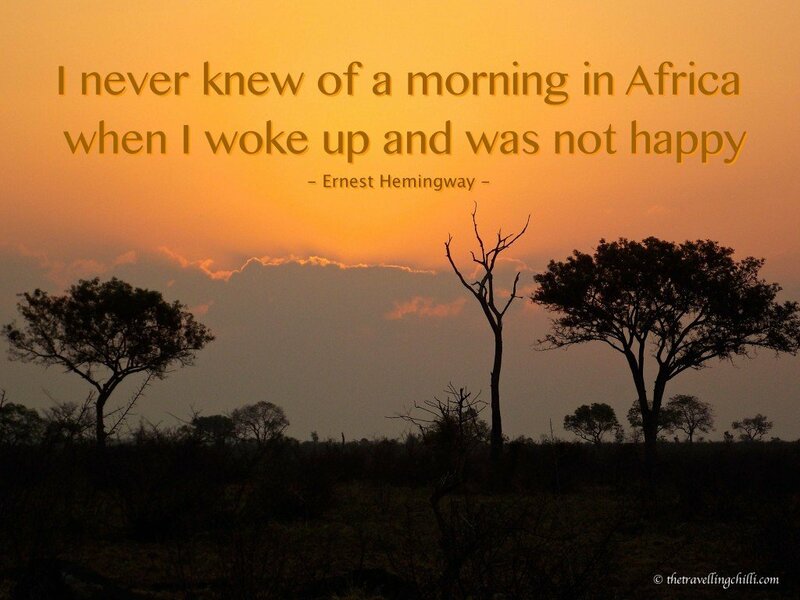 Oh, indeed, the mornings can be so cold, especially since most people will do a safari during the winter months. Oh I hope that some day I have a reason to study this packing list! African safari is the top of my bucket list! How amazing! Love your pictures, too. Thanks for the tips! 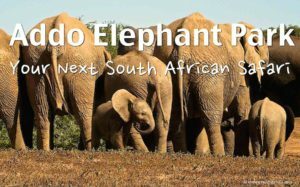 Headed on my first African safari in Kruger National Park next month! This is an excellent write up. Even though I have yet to be on safari I imagine all these goods to be necessary. The sunblock really stands out in mind. Only because I know how easily I burn when outside for a bit, in the sun, or even under some shelter where the sun reflects and burns me. That’s the tricky one, slathering on the block when you are semi-covered but still exposed. Thanks for the smart share Sabine. I’m planning this for next year and your post is amazing! Thanks! Don’t forget mossie spray! Great list, you should look at Kingdon’s guide to African mammals, literally the safari bible and a bird book too. thanks for sharing! I went on safari back in 2007 and all I had was a 35mm camera! I got a couple of OK shots but I can only imagine the type of photos I would have been able to take if I had the camera that I’ve got now! That’s an awesome list of things! Thanks!